Extracurricular Activities : Dance and Music. Sports: Cricket. 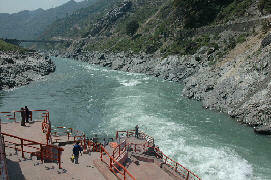 Deoprayag is located on an altitude of 475 m. This is where the Ganga River is born - at the confluence of the Alaknanda and Bhagirathi rivers. 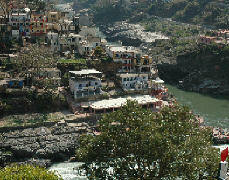 This place is called 'Ganga Sangam' and is considered as a very holy place. Omkarananda Saraswati Public School is situated right at this sacred place. 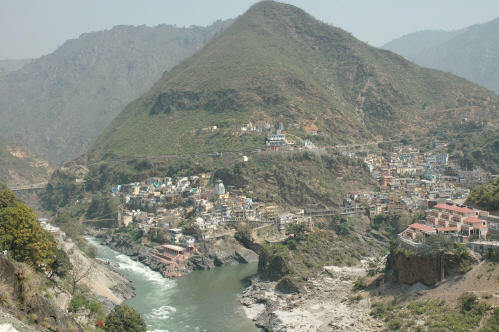 The view here is spectacular with the rivers running right in front of the school courtyard - the Alaknanda, Bhagirathi and Ganga, and green mountains soaring high above the rivers. 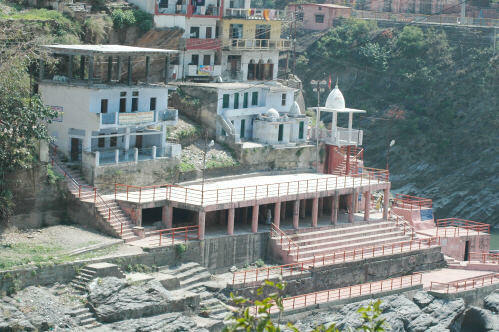 The famous Deoprayag Ghat and Raghunath Temple, which is the Temple of Lord Rama, are both a stone's throw away from the School. 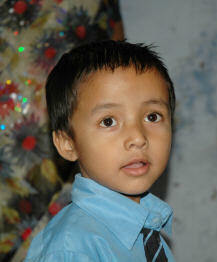 This Junior High School was founded in 2003 as an English Medium School and offers Classes Nursery to Classes VIII. Lessons are completely run in English language, providing an excellent education in English to all students, from the Nursery level to Classes VIII. Parents also are very proud of the good education provided by this School for their children and would even like to have an upgrading of the School up to Class X. 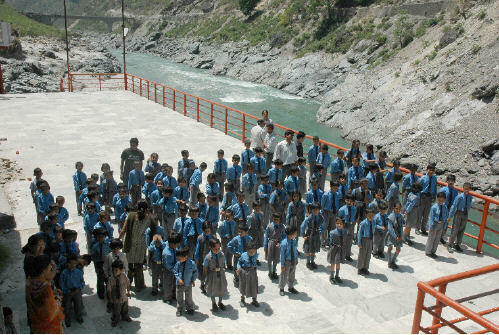 The students come to School by walking from the nearby villages. There are also about 25 students who stay in Deoprayag for the week and leave home only during the weekends as the daily walk from home is just too far. The School has a folk dance team consisting of 22 boys and girls aged 11 to 12 years. The dancers dress up in beautiful traditional costumes and take part in various competitions. 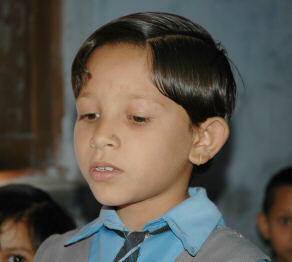 The School also has a cricket team which participates in various local competitions.